Last week a group of our coworkers ran in the JP Morgan Corporate Challenge. I came to find out this race in Frankfurt is the biggest foot race in the world with almost 70,000 runners. The first race in Frankfurt was in 1993 with only 527 runners. With so many banks, car companies, and insurance companies Frankfurt has a lot of corporate representation. The race was fun and I am proud to say I ran the whole 5.6k. For someone who hasn't run in months this was a big accomplishment, but man was I hurting after that. Check out mine and Justin's photo finishes! 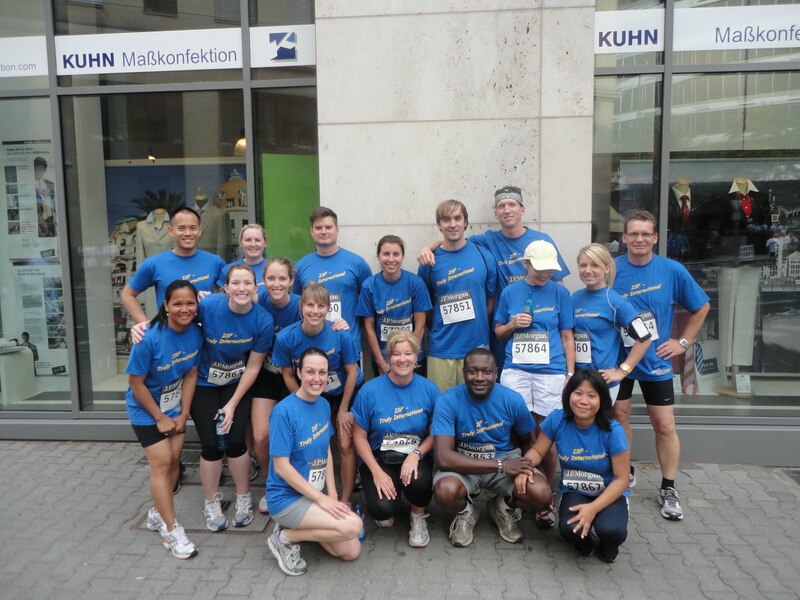 JP Morgan Chase puts on races in cities all over the world. See if you company will put a team together. Maybe I will do a little more training for next year's race. Go Team ISF!